The Carlisle MA real estate market is full of charming and elegant homes set back in a rural and picturesque backdrop. Searching for homes in the greater Boston area can be a confusing and complicated process. With a unique mix of urban, small town and rural communities, the Massachusetts’ real estate market is comprised of a diverse array of home buyers and sellers. Since 2001, The Attias Group has been balancing these competing contexts and meeting the needs of a wide variety of home buyers. In fact, The Attias Group is the number one real estate boutique in the entire state of Massachusetts. Whether you are looking to move out of the big city and into a small town community, or continue your small town living in Carlisle, The Attias group can help you find a home that is right for you! Residents of Carlisle MA seem to be living life at slower pace, and know how to enjoy the little things in life. If you are looking for a refuge from the congestion, hustle and bustle of the big city, Carlisle is the perfect place to call home. No need to worry about urbanization in Carlisle, as the town is committed to keeping its friendly and quaint small-town charm. In this one-of-a-kind farming community, privacy is respected and desired, both commercial and residential. 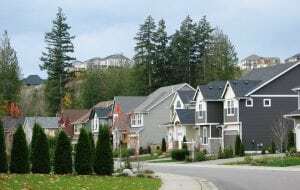 Homes are required by the city to be built on no less than a 2-acre lot, which protects home developers from ruining the “wide-open spaces” feel of Carlisle. Also, the city is very selective with the type and number of businesses that can operate within the city limits. Carlisle understands that Boston living is not for everyone, and they have found their rural community niche. If you are ready to trade in the crowded crosswalks of the city for some peace and quiet, The Attias Group can find your perfect piece of Carlisle MA real estate. From the high-rise apartments in Boston, to the farm homes in Carlisle, the expert real estate agents at The Attias Group will take time to fully understand your real estate needs and find you the perfect home within your budget. Contact us today to see some of the best available homes in the Carlisle MA real estate market.